I fell down the rabbit hole of busy working mom. I am a high school teacher, and after 15 years, I got my dream assignment of teaching World History. Unfortunately, new class = lots of homework (lesson planning) for me, so I haven’t had much time to quilt. We are at the midpoint of the semester so I have finally settled into a routine. The other crimp in my style is my daughter’s figure skating career. She is practicing two solo routines for fall competition, and she is in a group number in November and a holiday show with two weekends of performances in December. I haven’t found a way to sew at the ice rink, but I try to get my grading done there. This beauty, pieced by my mom from a Judy Niemeyer pattern, is on my longarm. I am doing lots of custom filler designs so it is taking a while. And the biggest news of all, three years in the making… My first book! Self-published through CreateSpace, an Amazon affiliate. 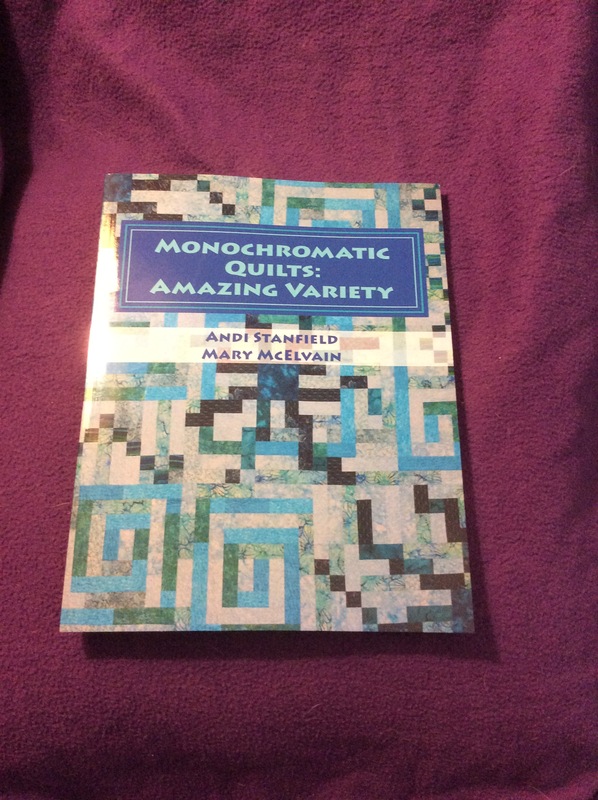 Purchase here, or search the title “Monochromatic Quilts” on Amazon. Today Vicki is taking stock of her dream projects, so it’s time for an update on my next BIG quilt. My college class was nicknamed “True Blue 92” so I am making a blue and white quilt with 92 stars. I shared the layout in this post. Here are the latest blocks. 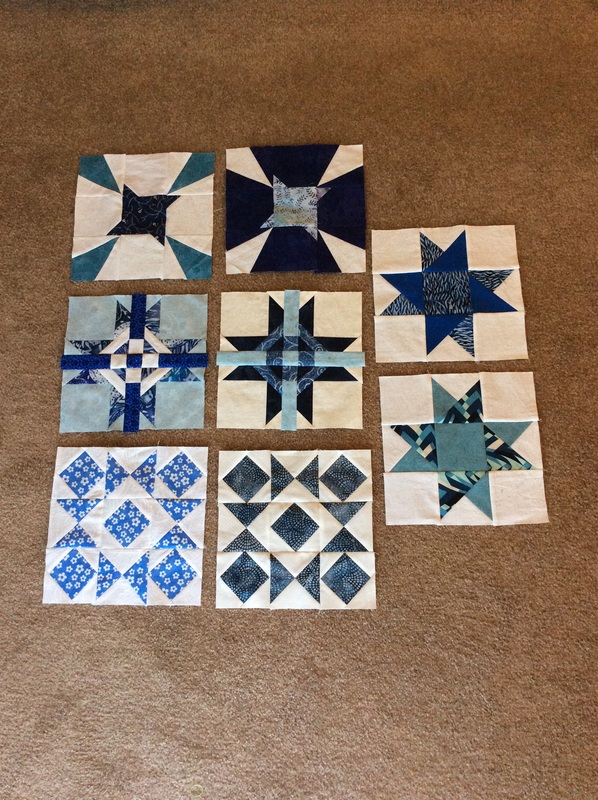 I am trying to use a different blue fabric in each block so it will take some time to collect that variety. I am using patterns from Quilter’s Cache, and many are paper pieced. 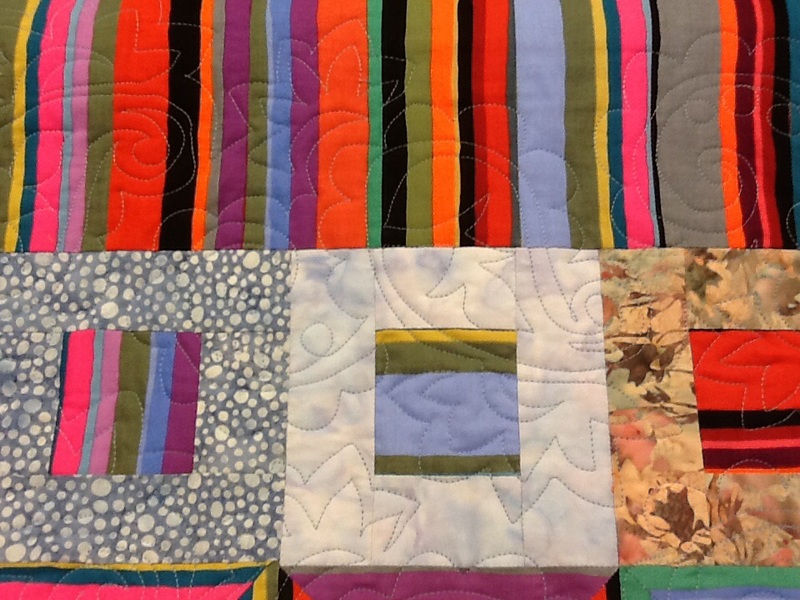 I need to do more organizing in my sewing room to find the blocks I made when I first had the idea for this quilt…way back in the fall of 2013! I loaded one of my own projects on the longarm this morning. When I checked my notes, I found it this is the first time all year that I am working on something I will keep! It’s my Women of the Bible quilt. 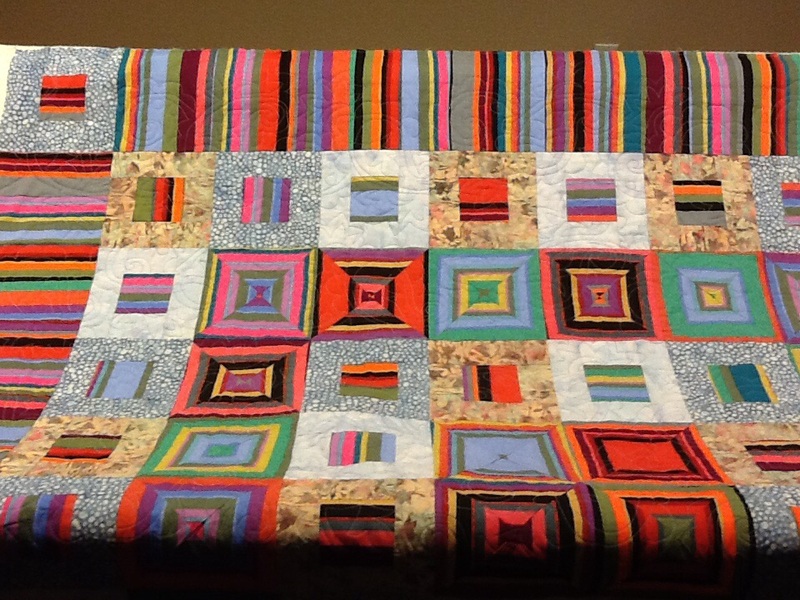 The blocks were sewn from October 2013 through September 2014. I decided on a simple stitch-in-the-ditch outline of the primary element in each block, with free-motion feathers in the borders. I won’t win any awards for my ditch quilting becauseit gets pretty wobbly, but since this is not going to be judged I am not stressing over it. My plan is to hang the finished quilt in the room at church where my adult Sunday School class meets. And I am still working on split 9-patch blocks as my “leader-ender” (in-between-other-things) project. I need to count them to see if I am halfway to a quilt top yet. 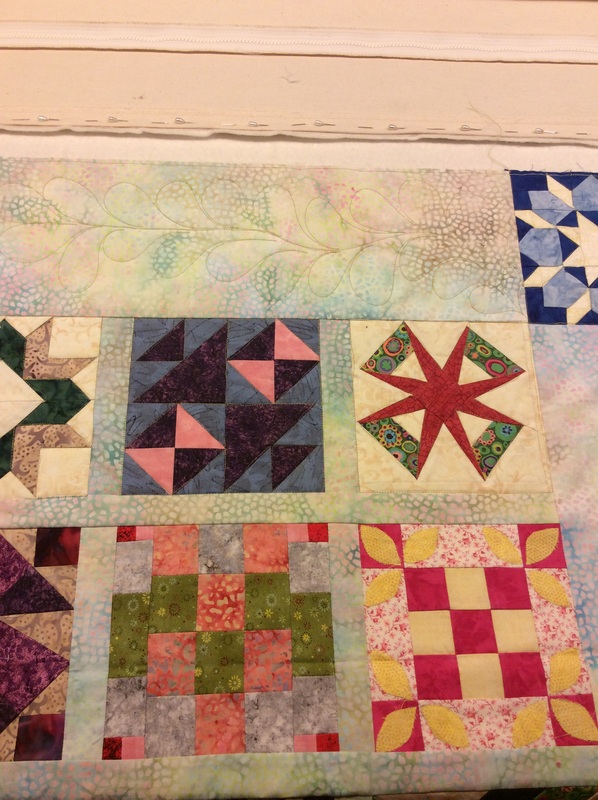 My goal is a 60″x80″ quilt for QOV and that will take 120 blocks. Scrappy heaven! I woke up early to the sound of thunder! One of my favorite things about living in Phoenix are the summer storms, but this is unusual. Our monsoon rains come in July and August, but this weather is caused by the tropical storms hitting the west coast of Mexico. 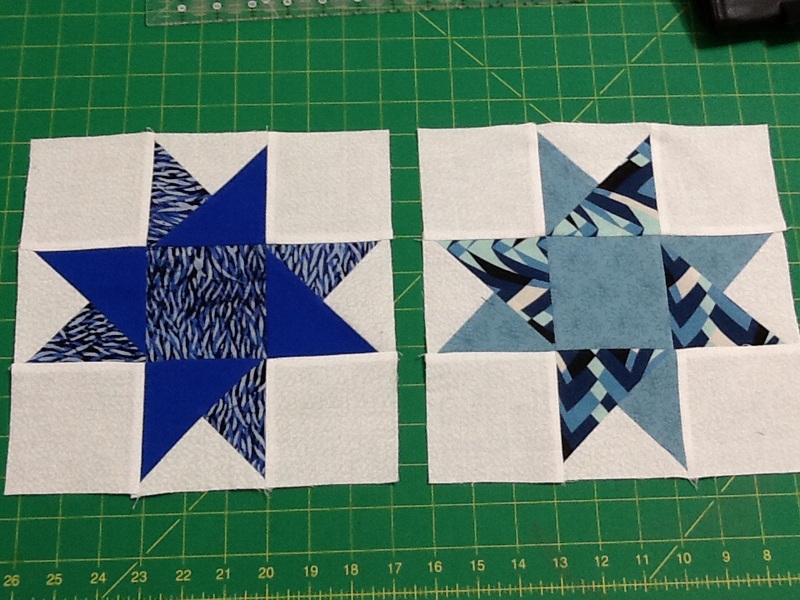 The overcast skies make it a perfect day to continue working on my True Blue stars quilt! The quilt has to have 92 stars, but planning is tricky because 92 does not fit into a rectangle or square layout. The closest I can use is 9×10. Yes, that is only 90 blocks, but if I put some smaller stars somewhere, I can get to the total of 92. Here is a mock-up using 88 star blocks. I changed the two center squares to use 4 smaller stars and I will applique some college references in the blank space. I have a list of 44 blocks to work with and I am using different color combinations in each block. By 2017 I will have a lovely collection of scrappy True Blue 92 stars! Current tally…17 done?? I need to find that safe storage spot where I hid some of the blocks…my notes say I finished the first six back in November of 2013! Lesson learned, I now have an old show box to keep all my finished blocks. More math – instead of paper piecing some blocks, I am going to use regular piecing since the next block is quarter-square triangles and square-in-square units. Easy enough to sew, but I never remember the measurements to start with. SO, a quick google search led me to allpeoplequilt.com and they recommend adding 1-1/4″ to the finished size of a QST, then cut on both diagonals before sewing. Bonnie Hunter at quiltville.com has a handy chart for square-in-a-square units. What are you sewing today? You can see from the button on my sidebar that I have an epic, long term project in the works. It is my True Blue 92 stars quilt. 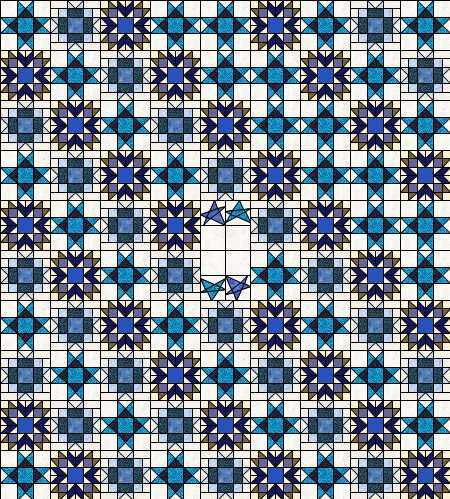 The plan is to make 92 star blocks in blue and white to commemorate my 25th college reunion in 2017. My initial plan was to use 44 blocks, and make 2 of each with 4 corners to make 92 stars. I have adjusted that plan a bit. Of course, I lost the scrap of paper where I drew the most recent layout, so back to the sketch book. I finished a small quilt for my best customer…my mom 🙂 We agreed on a pantograph so it was quick and easy to get this done as a sample for a class she is teaching on using stripes. 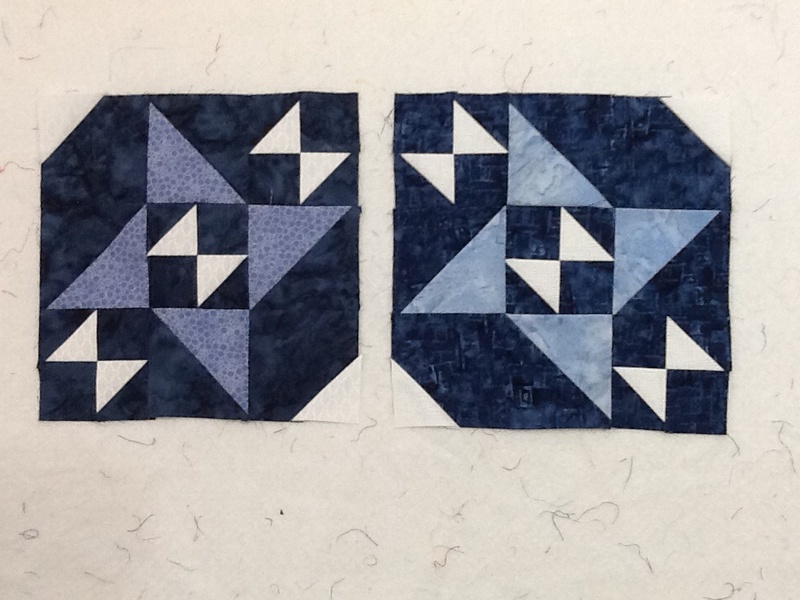 I also made two more blocks for my True Blue 92 quilt. The pattern is Double Friendship Star (pattern from Quilter’s Cache website). While my students were taking final exams, I sketched out a final layout, but of course now I can’t find the scrap of paper with my calculations! The plan is to make 92 star blocks to represent my college graduation back in 1992. I chose 9-inch blocks, and I will make 2 of most of them. 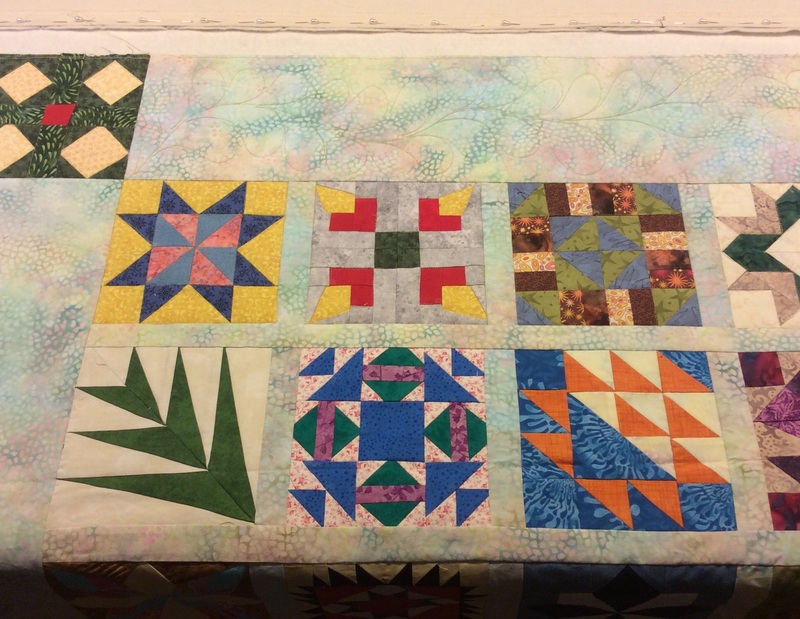 Then I realized, the quilt will be HUGE, and I think I figured out a way to make some smaller blocks in the center and corners and keep the overall size around 90″ square.